When you’re staring down the college application process and just hoping to get in, the idea of receiving a scholarship can almost seem like too much to ask for. But it really doesn’t have to be. It’s true that scholarships and grants are not always easy to find, but they are out there. You just have to know where to look — and apply. U.S. News & World Report identified the colleges that provided the most merit-based aid in the 2016–17 school year, and below are a few of the top schools on that list. Whether you want to be a CEO by age 30, an engineer who invents the next big thing or a generation-defining writer, there’s a generous college right for you. With 55 percent of undergraduates receiving merit aid, the Olin College of Engineering, which is affiliated with Babson College, in Needham, Massachusetts, is ideal for students looking to build the future. An astonishing 100 percent of its freshmen receive merit-based aid, which averages $23,533 of the $48,600 annual tuition. Besides the perk of its location — Savannah, Georgia’s picturesque historic district — SCAD offers 41 percent of its undergraduates merit-based aid. Its scholarships range from $1,000 to full tuition, and the average non-need-based package (which could be a mix of scholarships and grants) for freshmen is $9,569 annually. That’s close to one-third of the $35,910 total yearly tuition. Named among the top 30 undergraduate business schools in 2018 by Niche, Southern Methodist University in Dallas is the perfect place to learn the four Ps (price, product, promotion and place) before you make your billions. With 36 percent of undergrads receiving scholarships, you can hope for roughly $23,315 of the $52,498 tuition bill each year — that’s the average amount of merit-based aid freshmen receive. 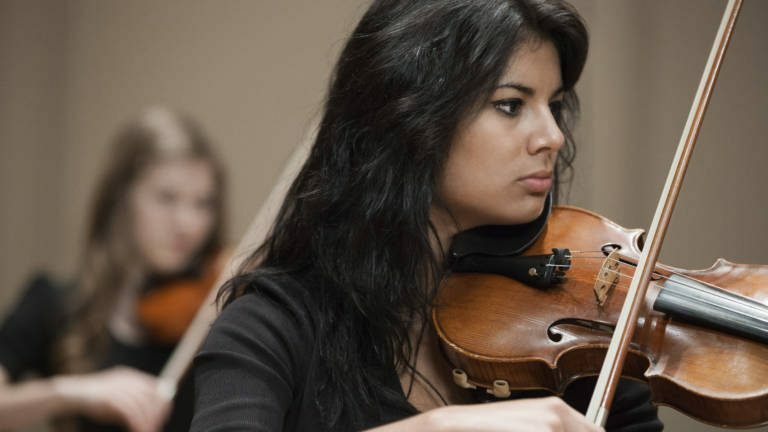 If you want to make music your career, you’ll definitely want to consider the New England Conservatory of Music in Boston, where 52 percent of undergraduates receive merit-based aid. Here, merit has more to do with the strength of your audition than your high school grades — and it pays off: Between scholarships and grants, the average non-need-based package per year is $17,516 of the $46,100 tuition. If literary aspirations are calling you to New York City, the New School’s culture, literature and writing programs can immerse you in that world from Day One. Of the university’s nearly 7,000 undergraduates, 47 percent receive a merit-based scholarship or grant that averages $9,473 of the annual tuition, which, depending on your major, is between $45,240 and $46,820. With standout programs in business, liberal arts, architecture, public health and science, Tulane University in New Orleans is a strong school all around. It also offers generous scholarships and merit-based grants to 36 percent of its undergraduates, with the average merit-based package totaling $27,266 each year. That’s nearly half of the school’s $52,960 annual tuition. While finding and securing scholarships and grants take real work — you have to fill out the FAFSA® and usually complete individual scholarship applications — money is out there if you know where to look. So start searching, and don’t give up!